Cardio. Whether you hate or love it this type of exercise is great when it comes to strengthening your heart and joints. But there are so many discussions and myths about cardio it’s difficult to know exactly if it’s really doing you more good than harm. Or is it? Aerobic exercise is a great addition to the weight loss program especially if you are new to working out. It helps burn fat during workout while your (newly built) muscles continue burning more calories during the day. It also improves your stamina and increases endurance. So what exactly cardio does and how to do it right not to hinder your results? What? When you hear that sort of thing don’t you just see it as an oxymoron? The argument behind this statement is that cardio increases the levels of stress hormone – cortisol in the body among other things and increased levels of cortisol makes body store fat so no cardio is the way to go. But cortisol release is a normal body reaction to any kind of training. It is a way your body deals with stress. If you give yourself to rest and recover properly cortisol levels should get back to normal. When a person has chronically increased cortisol levels it is a different story. No one can eat whatever they want even if they train vigorously. Those who claim they can, well they just might be magical unicorns. But the rest of us gotta watch our calorie intake versus calories spent. Reward yourself with something other than food after you’ve achieved your fitness goal. This is also not very true. Cardio is good for the heart. It strengthens our cardiovascular system and helps burn more calories and fat during workout and a short period after that. Building muscle, on the other hand, is a great way to jumpstart your metabolism and increase intensity, shed fat and build lean muscle mass instead. Besides the more you exercise the less fat you burn unless you increase intensity or distance when it comes to cardio. 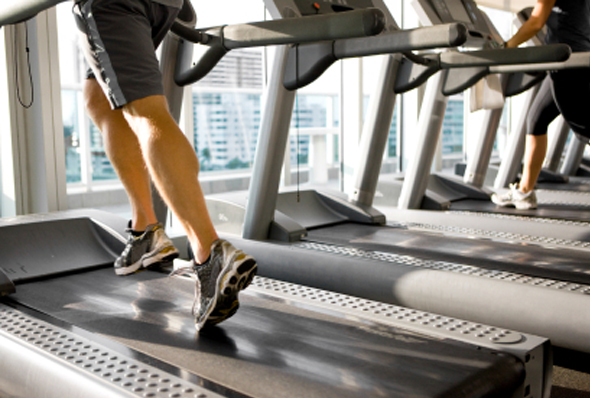 As your body adapts to it steady pace cardio offers less results than high intensity interval training. The more you exercise the less fat you burn unless you increase intensity or distance when it comes to cardio. As your body adapts to it, steady pace cardio offers far less results than high intensity interval training. Not eating before any workout is generally a bad idea. If you don’t have enough energy for training your body turns to muscle before fat to fuel itself for whatever you throw at it. So an ideal pre-workout meal or snack should contain both complex and simple carbs. It can be a bowl of oatmeal with blueberries or a green smoothie with fruit. This entry was posted in Workouts and tagged cardio, strength training. Bookmark the permalink.